BNP Paribas Wealth Management has unveiled its new Client Experience venture co-created with customers and fintech firms. 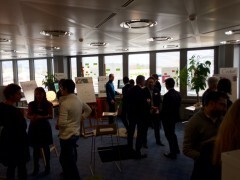 The demo day – for which BNP Paribas Wealth Management invited a host of European journalists (with Banking Technology included and representing the UK) – was held at the bank’s “Big Factory” incubator at the BGL BNP Paribas head office in Luxembourg. This is one of the three “factories” of BNP Paribas Wealth Management (with the other two located in Geneva and Singapore). All three are involved in the Client Experience initiative. Client Experience is a collaborative effort with clients, internal staff and fintechs. 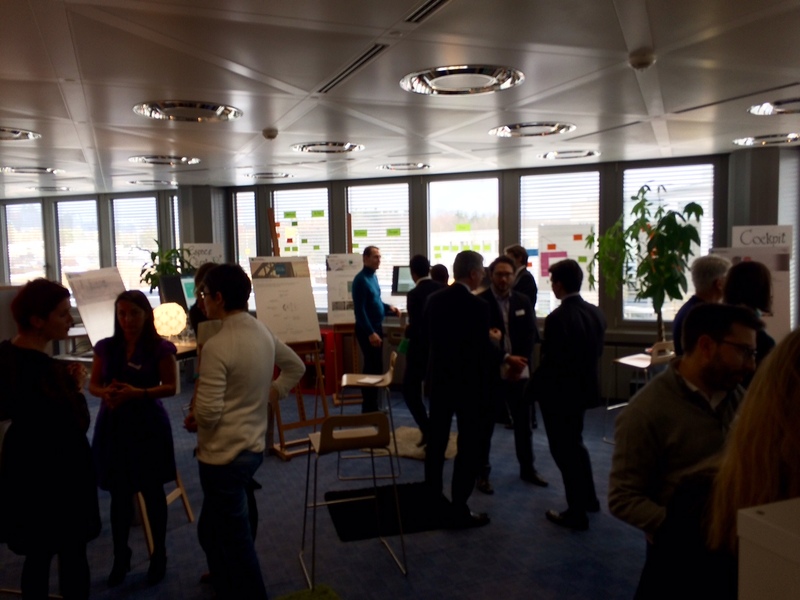 200 employees, 100 customers and ten firms took part, resulting in ten new digital products. Each new Client Experience product was developed to address customers’ specific needs. The products were built by the bank’s “pizza teams” – small teams of employees from various departments, where each “pizza slice” has its own competency. The participants dedicated 60% of their work time to the project for four months. The bank says its customers were keen to take part. “Our clients like to be involved. They are entrepreneurs, so creation comes natural to them,” says Mariam Rassai, head of client experience at BNP Paribas Wealth Management. And having products that customers want coupled with the collaborative spirit gives the bank “a big competitive advantage”. 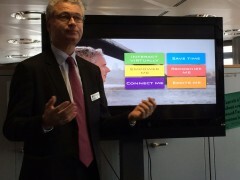 “What do wealth management customers want today?” asks Lecomte. “They want to be able to interact with their bank virtually, the want to be connected, recognised and empowered. They want to save time. And they want to be excited. 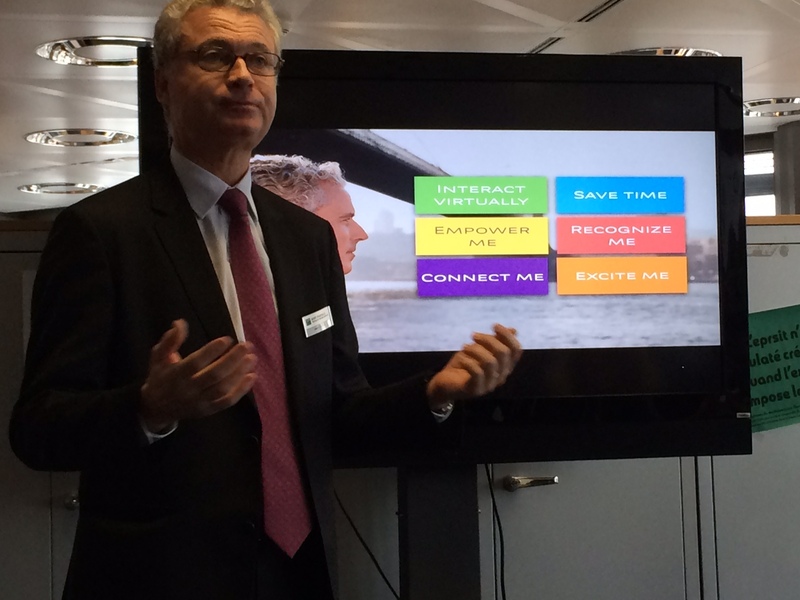 However, Lecomte emphasises that the bank’s digital offerings are not to replace human interaction. “The relationship manager remains at the heart of our operations,” he states. BNP Paribas Wealth Management has 6,600 relationship managers/private bankers and €341 billion worth of assets under management. BNP Paribas Wealth Management says this is a perfect example of its customer-driven development. “If it wasn’t for our clients, we wouldn’t have even come up with this idea,” comments Rassai. mySafePlace is a fully-encrypted safe for storing confidential e-documents of the clients. The bank does not have access to these. Security, confidentiality and ease-of-use were the key factors. There is also a secure e-banking space where a customer can meet with his/her banker virtually and exchange documents and messages in real-time. This is also encrypted. The product has been live since September 2016 in Luxembourg. All data is stored locally on a dedicated server. It is currently available for Luxembourg clients using iOS mobile devices (desktop and Android will be added this year). A mobile phone is used as a key and the session itself is done on a tablet. Customers log in with a “selfie”, whilst the transactions are authorised by fingerprint and voice recognition. The technology is provided by Ireland-based biometrics tech specialist Daon. The bank says it is the first in Europe to put all three biometric features together. myWealth also has input from UK-based start-up CityFalcon, which aggregates financial news in real-time for the online platform. The platform is already live in Switzerland and is about to go live in Singapore. It is currently available only on a tablet and desktop, but will be extended to a smartphone this year.